just a quick banner for my new friend hawk hubbard aka captain hood of under the black flag bbs! since joining the textmode art scene, i've made lots of new friends. blocktronics and impure have both been more art collectives than a release groups. seeing the art other members are working on is very inspiring and, for the most part, the criticism is constructive. over time i've become friends with misfit and filth, all members of blocktronics who live in pretty close proximity to each other. this year we decided to meet up at pittsburgh's local demoscene event demosplash, and had a blast! blocktronics' new halloween themed artpack #17 "blocktober" has been released! and i have a few new color pieces in this pack! 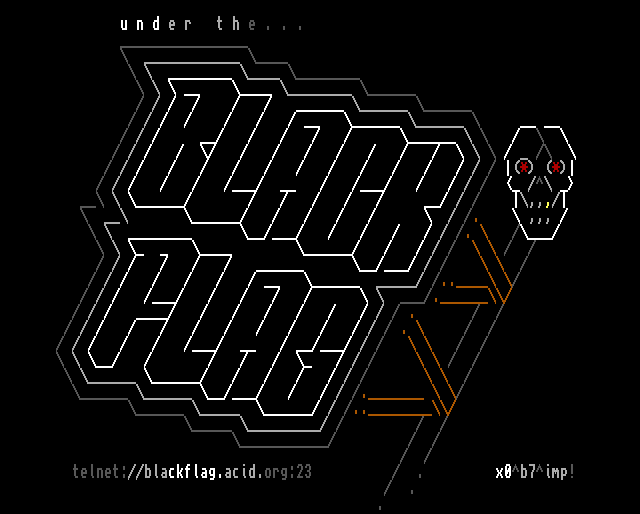 here's a new piece of ansi/ascii art that's near and dear to my heart. it's a textmode art view of my town, pittsburgh! 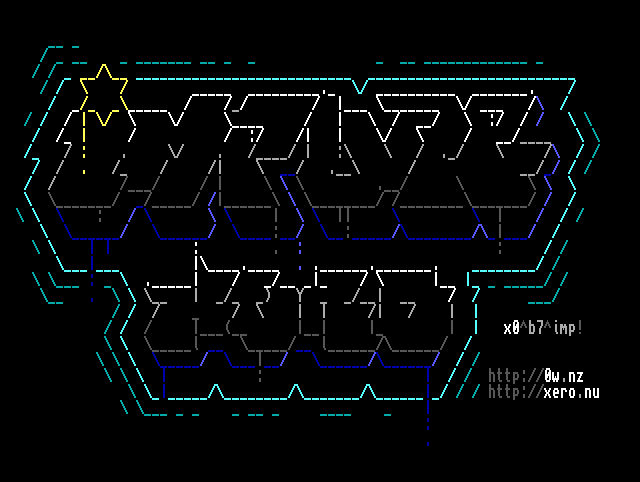 it's drawn with the classic AMiGA font topaz and released this with impure! 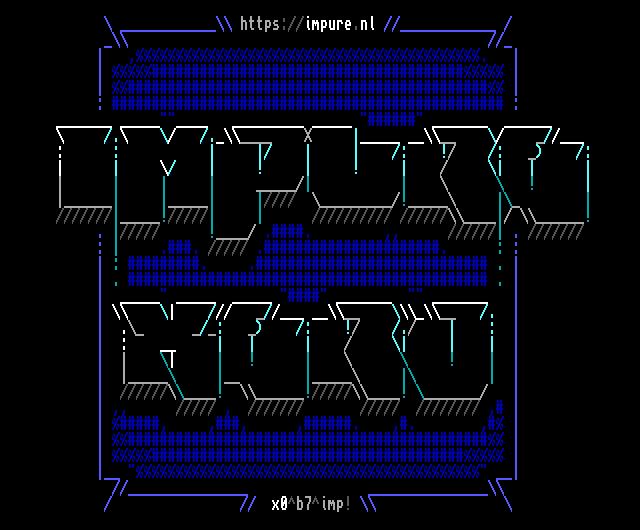 i've joined up with yet another ansi/ascii art group, this time it's some amiga scenesters called iMPURE!aSCii 1940 aka iMP. i have a few pieces in their new artpack #63.